Yokuts (Yokotch) were the Central California Native Americans who lived here 5,000 to 8,000 years prior to the 1769 arrival of Spanish Missionaries. The natives lived off the land that was often described as the “Garden of Eden.” More than 95 to 100 native food resources were available to plant, harvest or hunt. The Gold Rush would change their idyllic life forever. Over 100,000 prospectors invaded California after gold was discovered on January 24, 1848 at Coloma. Our area was the poorest of the placers (gold deposits). When mining for gold became too laborious and unprofitable in the early 1850s, our pioneers turned to the vast open ranges and the forest of the Sierra Nevada for their next venture. Practical and successful cattle/sheep barons (Simpson, Blasingame, Wm. Cole & Sample) settled in the 1850s at Big Dry Creek (Academy) along the foothills (12 miles from Old Town Clovis). They were dedicated to their families, honored their neighbors and established quality school districts. They began trading with Robert L. Good who established our first store in 1895. Cole suffered a total crop failure during the drought years (1897-1898). He stopped farming and opened a farm machinery service repair shop in Clovis and his wife Lizzie became the manager of the Clovis Hotel (NW corner of Fourth & Clovis Ave). They moved to Fresno in 1904. Marcus Pollasky arrived in 1891 to secure a right-of-way for the San Joaquin Valley Railroad Company. It was extended from Fresno and Clovis to Friant. There were plans to cross the Sierra Nevada and open a direct connection to Eastern markets. Pollasky purchased a square acre of land from Clovis and Elizabeth Cole for $4,000 gold coin. The depot (east of Clovis Ave & Fourth) was named Clovis. In 1890 mountain pioneer families (Sample, Letcher, Heiskell, Miller and Davis) built an earthen dam on Stevenson Creek and created the Big Dry Creek Flume and Irrigation Company. A lawsuit by Miller and Lux prevented their plan to divert part of the flume water into Big Dry Creek to sell to ranchers. They sold the company to Frank Bullard and others from Yolo County who reorganized the project as Fresno Flume and Irrigation Company. Michigan lumber men, L.P. Swift, C.B. Shaver and the Musick brothers purchased the project in 1892. They built a rock dam sixty three feet high that created Shaver Lake. A saw mill was built adjacent to the lake and partially dried rough boards (sugar Pine, Ponderosa (yellow) pine and fir) were free floated down the flume. Their 42-mile flume arrived in Clovis in 1893. It had a vertical decent of 4,000 feet. The V-type design was built in 16-foot sections with the largest trestle 90 feet high. Men were often lowered in baskets as they crossed canyons and cliffs to build the flume. The flume cost $6,000 per mile. The total project cost was $270,000. It would provide 400 jobs at its peak production. A major snow storm in 1914 destroyed a large portion of the flume. 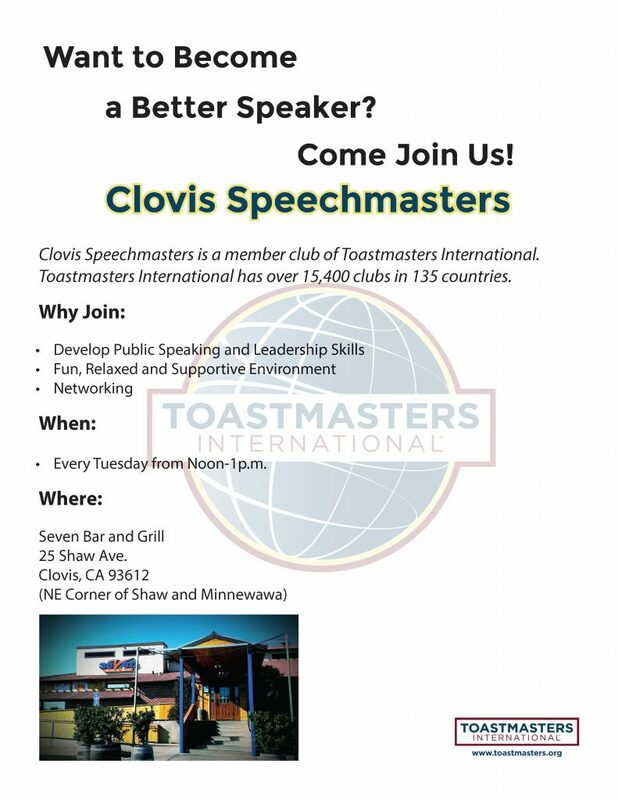 Clovis remained a “mill” town until 1925. Men and women would “float” on the lumber but were careful to avoid areas of excessive speed (40 miles per hour). The speed would slow to five to six miles per hour from Academy to Clovis. It would take approximately seven hours to cover the 42 miles. The water from the flume was piped under Clovis Ave and released on Bullard. Our pioneers and their projects created our rich heritage.